Last year, I did maternity shoots in NYC and Greenwich CT for this pretty mama. Here we are, a little more than 12 months later, doing a shoot in honor of baby Stella’s first birthday. Time is a-flyin! I just love documenting this growing family. Can you believe the not-yet-born baby in the 2015 portrait below, is now marching around the beach? You can see the full blog post of the shoot above here. Big brother Jack is as handsome and sweet as ever, and so grown up. But not too big for an old fashioned dad-toss. There’s Jack being heaved in the air in 2015. I hope his superhero dad is still doing this when Jack is in college. You know I always like to get an updated photo of the parents. I can’t wait for for our shoot next year!! If you’re wondering what it’s like to work with me, please check out my photographer reviews page. Want family portraits of your own? I work in NYC, the Hamptons, Greenwich CT, Hoboken, Westchester NY, etc. Daisy Beatty is a family portrait photographer based in Manhattan and East Hampton. 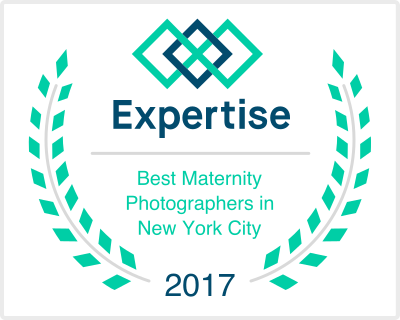 She specializes in vibrant portraits of children, maternity, newborns, and families, as well as winning headshots for performers, executives, and online dating. For more information, use the form above, or visit her full website.